Seeing as I'll be in Jamaica for Pancake Day . . . ahhhh so so so excited. I decided to have an early Pancake Day because of course I couldn't miss out! This year I wanted to try something different to the usual crêpe like pancakes I make every year. 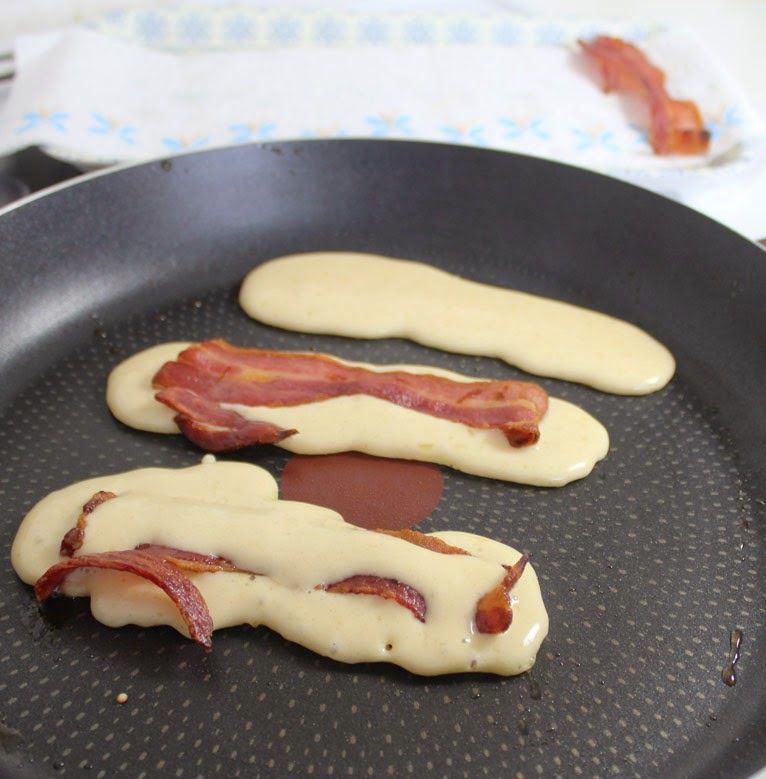 I have seen these Bacon Pancake Strips or Dippers all over Pinterest and I thought they were a good way to combine my love of bacon and maple syrup!! To start you are going to need some bacon - of course. Make sure to get the streaky bacon rashers, the thin strips, not the back bacon which is the traditional British cut. 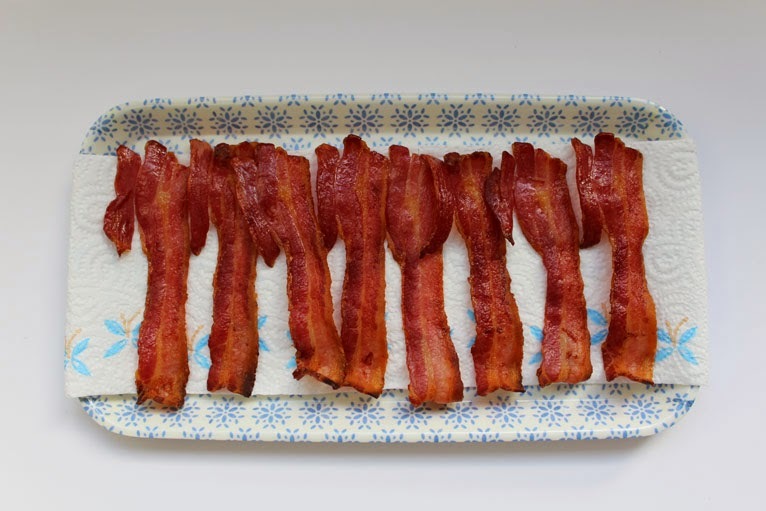 Cook the bacon until crispy, pat with kitchen roll to remove any excess fat and leave to cool. 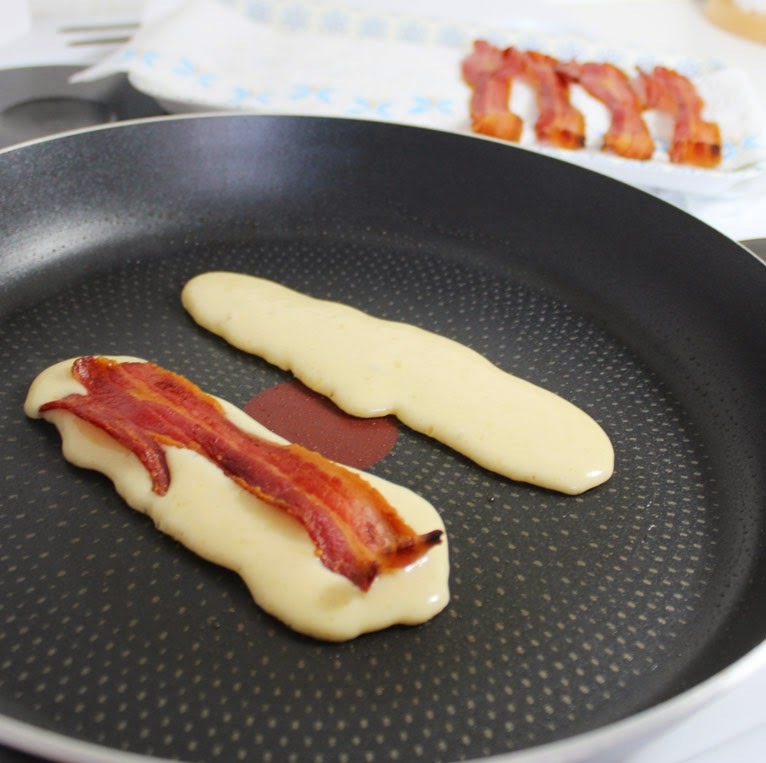 Now you need your pancake batter. You can either make your own or pick up a ready mix but you definitely need the american style batter with self raising flour as a crêpe mixture will be too thin. This is a really simple recipe and will cover 8-10 rashers. First whisk together the wet ingredients; Egg, Milk, Maple Syrup and melted Butter but be sure to let the butter cool before mixing it in. In a separate large bowl add the Self-Raising Flour and Caster Sugar and pour in the wet ingredients. Gently beat until you have a smooth batter, don't over beat as we want it to remain thick but with no lumps. To make it easier to create the strips of pancake I transferred the batter to a piping bag but a jug and a steady hand will work just fine. Just remember that the batter spreads so less is more. On a medium heat add a small knob of butter to a frying pan, once the butter has melted you can pipe or pour your first strip. 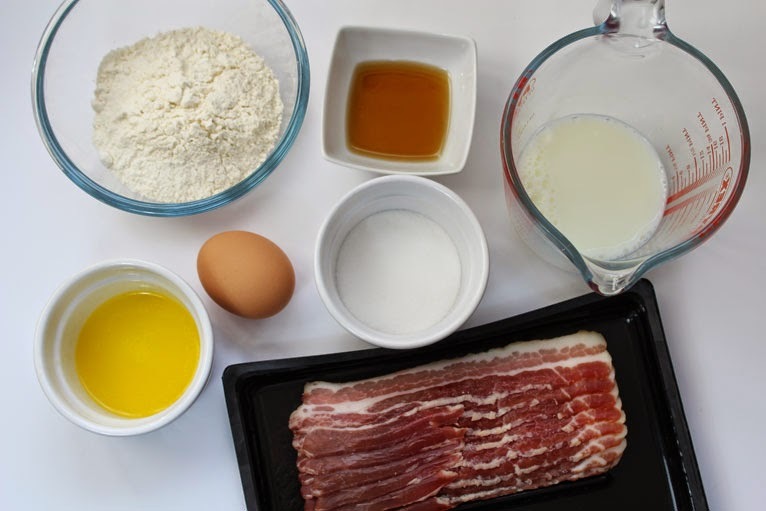 Then place a rasher of bacon in the center of the batter and add a little more mixture to cover the bacon. When the batter starts to bubble flip until both sides are golden brown and then . . . repeat! Serve with a generous helping of maple syrup for dipping, I used the Clarks Maple Syrup with Vanilla. And there you go, something different this Pancake Day. 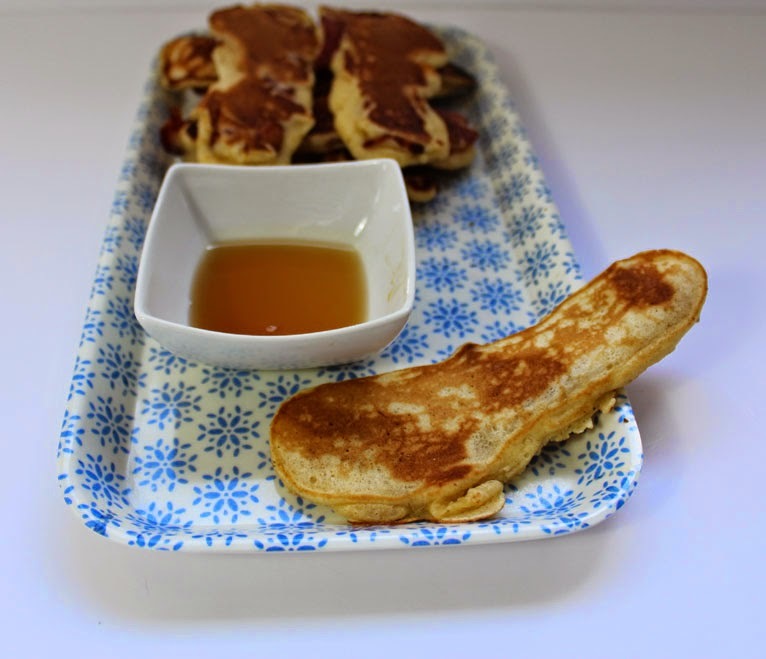 These are definitely a new favourite of mine and what a great twist on a traditional pancake. All Content Copyright © 2014 All Hans-on. Powered by Blogger.